From the Land of Nightingales and Roses introduces the cuisine of the world’s oldest culture. This comprehensive collection of authentic Persian recipes ranges from rice dishes to stews and desserts and includes recipes for condiments and refreshing drinks, not to mention the important, basic recipes that every Persian cook should know. “Because our lives—and our stomachs—are led by the seasons,” the recipes are organized into seasonal chapters—examining not only Persian food, but also Persian life. Each begins with a short introduction highlighting important dates and festivals and the foods traditionally eaten during them. Traditional names are included along with English translations, and each recipe is headed with a personal note about the dish. Maryam Sinaiee has made every effort to make each recipe as accessible as possible. Some of the recipes are traditionally made only on festive occasions; here, there might be a bit more work involved, but even they are not technically difficult. The book’s layout and photographs have a retro feel; they were taken by the author and add an additional, authentic layer to the project. The beauty of this cookbook is its variety. It includes dishes taken from the sixteenth century, like Ran-e Beryan (Stuffed Leg of Lamb with Yogurt and Saffron) and ones that use ingredients not found in western pantries, like kashk, a salty, tangy yogurt-like condiment. All are opportunities to try something new, from techniques to ingredients. 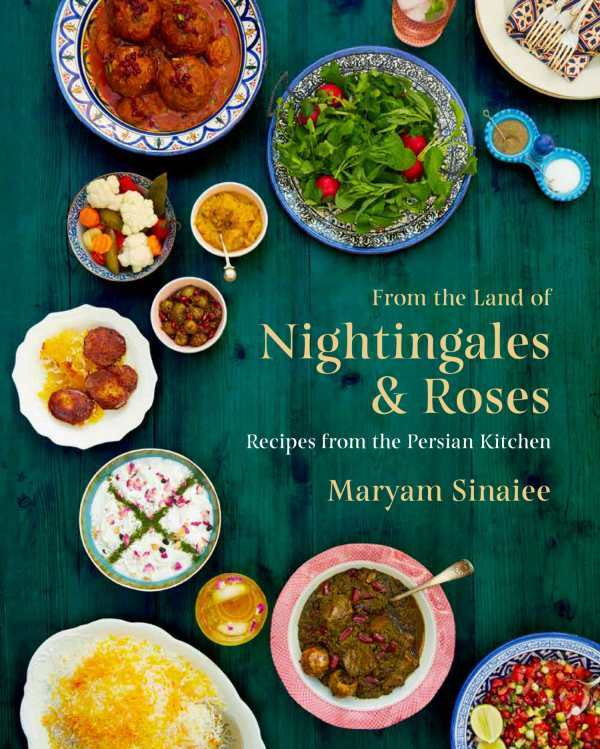 Maryam Sinaiee’s wonderful From the Land of Nightingales and Roses is highly recommended for the cook who wants to get out of their comfort zone and explore an ancient cuisine full of flavor, history, and beauty.